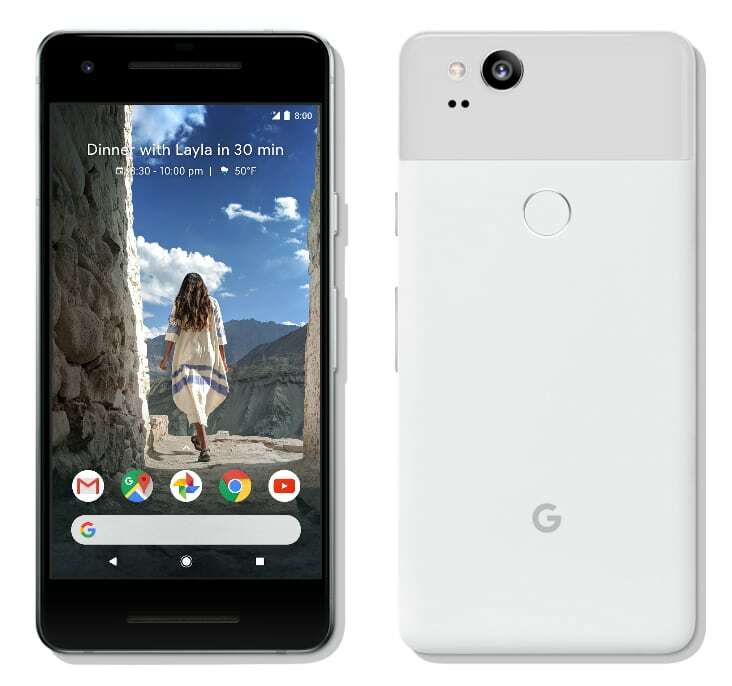 In an official event today in San Fransico, Google has finally launched their new flagship Pixel devices Pixel 2 and the Pixel 2 XL that are the successors to the last year's Pixel and Pixel XL smartphones. 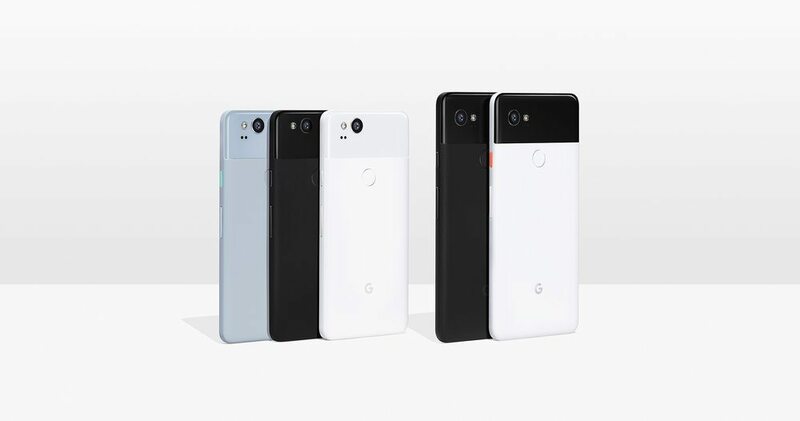 The new Pixel 2 and Pixel 2 XL smartphones comes with upgraded features and hardware and a all new design. Both the devices comes with the Active Edge sense feature that was leaked with the FCC approval listings of the Pixel XL smartphone. The Pixel devices will be the second after HTC U11 to adopt the Active Edge sense feature that can be used for quick squeeze to launch the Google Assistant. Both comes with Aluminum unibody design with hybrid coating. The Google Pixel 2 is priced at $649 for the 64GB internal storage variant while the 128GB inbuilt storage variant is priced at $749. It will be available with Kinda Blue, Just Black and Clearly White color options and will be available in Australia, Germany, Canada, India, UK and U.S. first and will be rolled out to other countries including Italy, Singapore and Spain later on. The Pixel 2 XL is priced at $849 for the 64GB internal variant and the 128GB inbuilt storage variant costs $949. It will be available with Just Black and Black & White color options and will be available in Australia, Germany, Canada, India, UK and U.S. first and after that it will be available in Italy, Singapore and Spain later on. 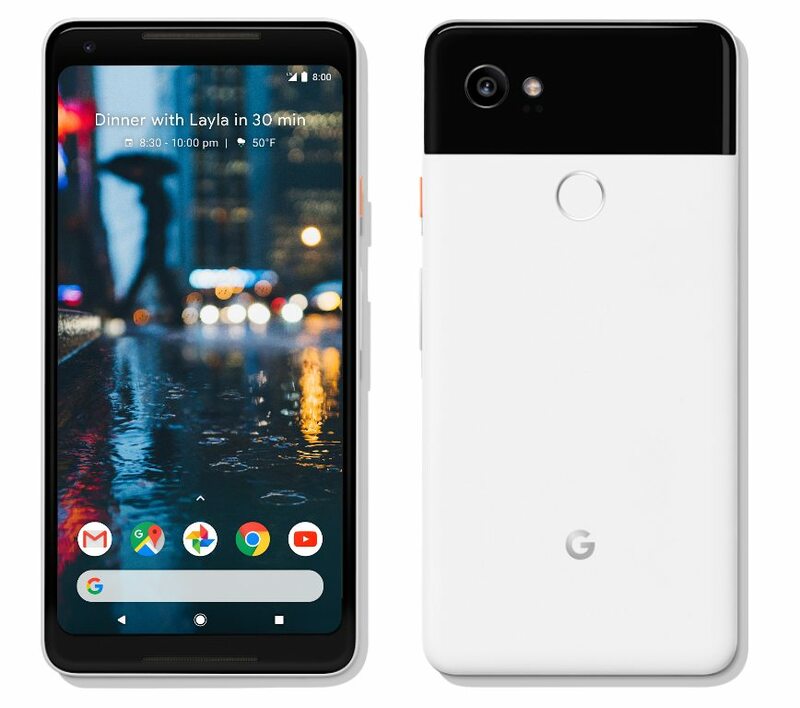 The Google Pixel 2 features a 5-inch AMOLED display with 1920x 1080 pixels resolution, 95% DCI-P3 coverage, 100000:1 super contrast ratio, 2.5D Corning Gorilla Glass 5 protection and is powered by an octa-core Snapdragon 835 Mobile Platform with Adreno 540 GPU. It comes with 4GB of DDR4X RAM with 64GB / 128GB internal storage with both supporting expandable storage up to 256GB with microSD card. It runs on the Android 8.0 (Oreo) OS out of the box. It features a 12.2-megapixel rear camera with LED flash, OIS, EIS, f/1.8 aperture, 1.4μm pixel size, laser + dual pixel phase detection, 4K video recording along with an 8-megapixel front facing camera with f/2.4 aperture and 1.4μm pixel size. It is backed up by a 2,700mAh battery and supports fast charging. Connectivity options includes 4G VoLTE, WiFi 802.11ac 2x2MIMO (2.4/5 GHz), Bluetooth 5 LE, GPS, USB Type-C, NFC and it comes with stereo front-firing speakers. The device is water and dust resistant with IP67 ratings. It measures 145.7 x 69.7 x 7.8 mm and weights 143 grams. It also comes with a fingerprint sensor on the rear side. The bigger Google Pixel XL 2 features a 6-inch Quad HD+ pOLED display with 2880 x 1440 pixels resolution, 100% DCI-P3 coverage, 100000:1 super contrast ratio, 3D Corning Gorilla Glass 5 protection and is powered by an octa-core Snapdragon 835 Mobile Platform with Adreno 540 GPU. It has 4GB of DDR4X RAM and has 64GB / 128GB internal storage option with expandable storage support having up to 256GB storage with microSD card. It also runs on the Android 8.0 (Oreo) OS out of the box. It features a 12.2-megapixel rear camera with LED flash, OIS, EIS, f/1.8 aperture, 1.4μm pixel size, laser + dual pixel phase detection, 4K video recording and an 8-megapixel front facing camera with f/2.4 aperture and 1.4μm pixel size. It is backed up by a bigger 3520mAh battery with fast charging and comes with 4G VoLTE, WiFi 802.11ac 2x2MIMO (2.4/5 GHz), Bluetooth 5 LE, GPS, USB Type-C, NFC connectivity options. It also comes with a fingerprint sensor on the rear side and comes with water and dust resistant feature with IP67 ratings. It also comes with stereo front-firing speakers. It measures 157.9 x 76.7 x 7.9mm and weights 175 grams.